Defrost a handful or so of frozen blueberries in the microwave or on a stove. Frozen blueberries work best in this recipe as they give up some of their juices during the thawing process. Add a tablespoon or so of honey or maple syrup and stir some chia seeds into the fruit. In a separate container, stir some chia seeds into a cup of coconut milk along with some honey or maple syrup then cover the two containers and store in the fridge over-night. In the morning take medium sized bowl and swirl the two chia puddings into each other to make a nice ripple effect. 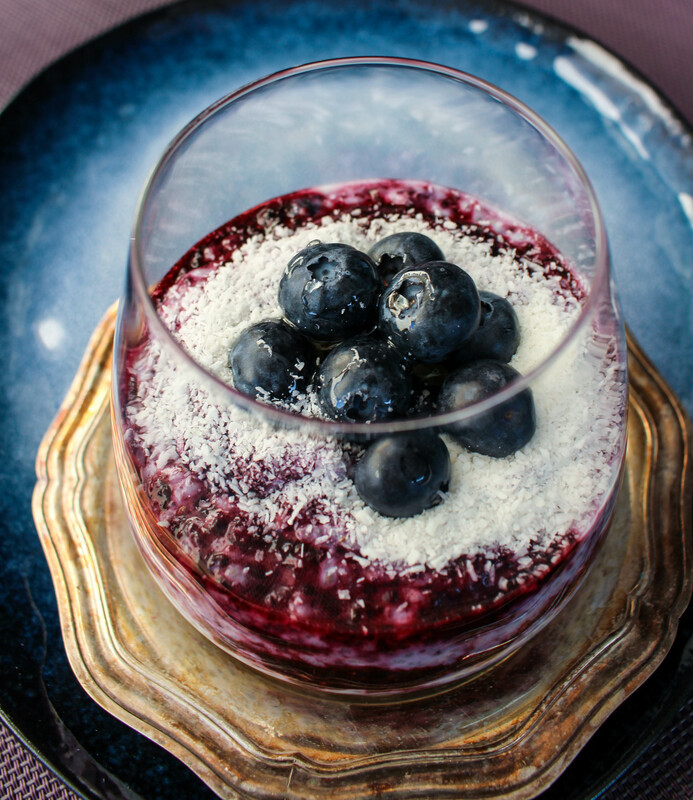 Place in a pretty bowl or glass, top with coconut, seeds and fresh blueberries and serve.